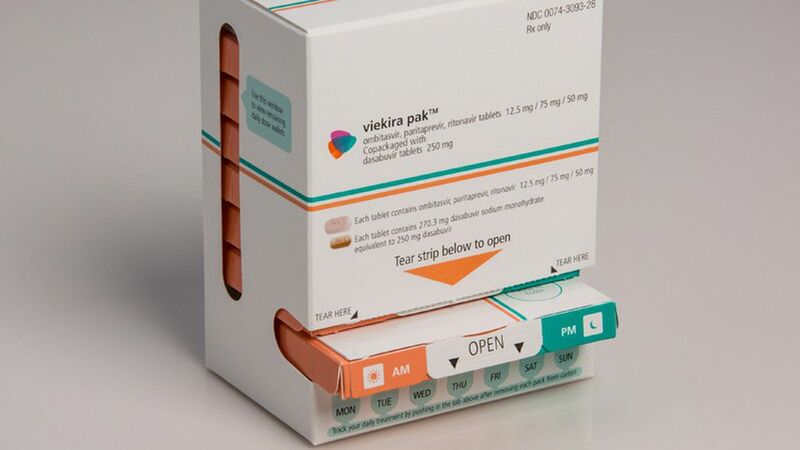 AbbVie's hepatitis C drug, Viekira Pak, hasn't taken off like the competing drugs made by Gilead Sciences. The drugmaker said Friday that sales of Viekira dropped 7% in 2016 to $1.5 billion. That's a lot of money, but Viekira is just 6% of AbbVie's total revenue. Sales in the United States alone dropped 57% last year. The core of AbbVie is its blockbuster Humira, which had more than $16 billion in sales in 2016. Why this matters: When Viekira came to the market in 2015, it was seen as a potential competitor to Sovaldi and Harvoni, the two Gilead drugs that shook the health care world with their high prices. Like Sovaldi and Harvoni, Viekira had the ability to cure hepatitis C.